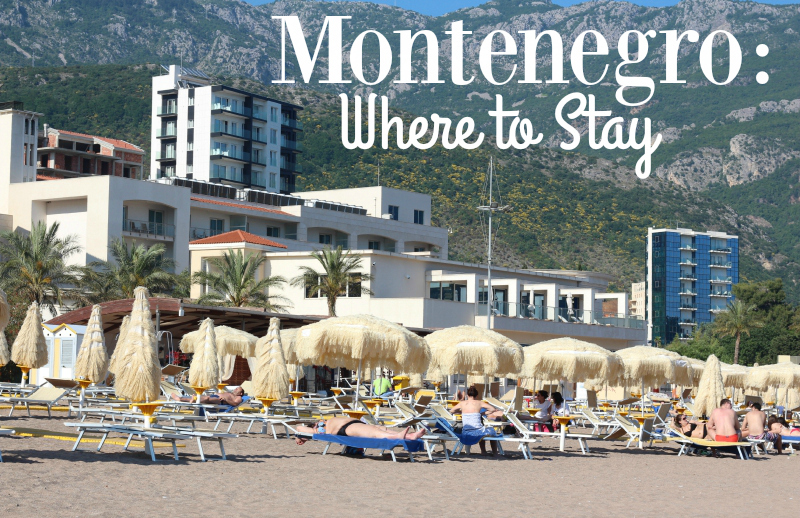 Montenegro is small country, which makes it an easy drive across the country in a day, but you could spend a whole month there and still have more to explore. 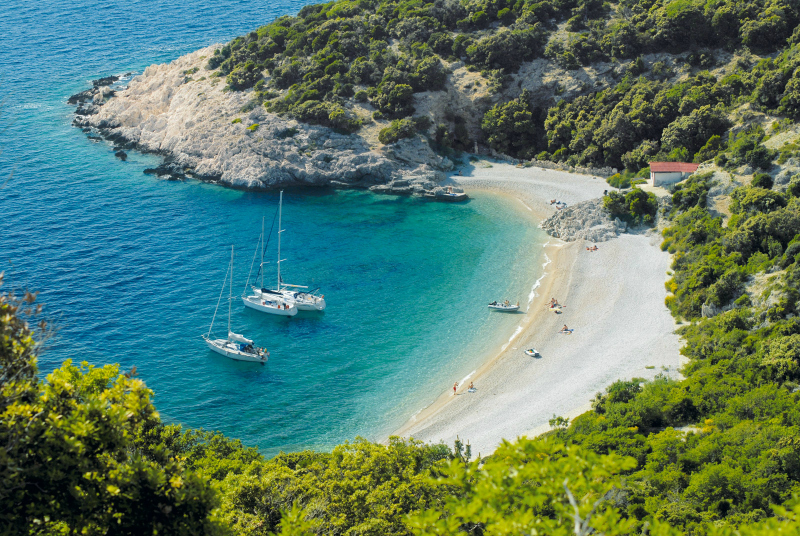 There are plenty of posh places to stay in Montenegro – and plenty of not-so-posh places too – so we have narrowed them down to highlight our absolute favorites. 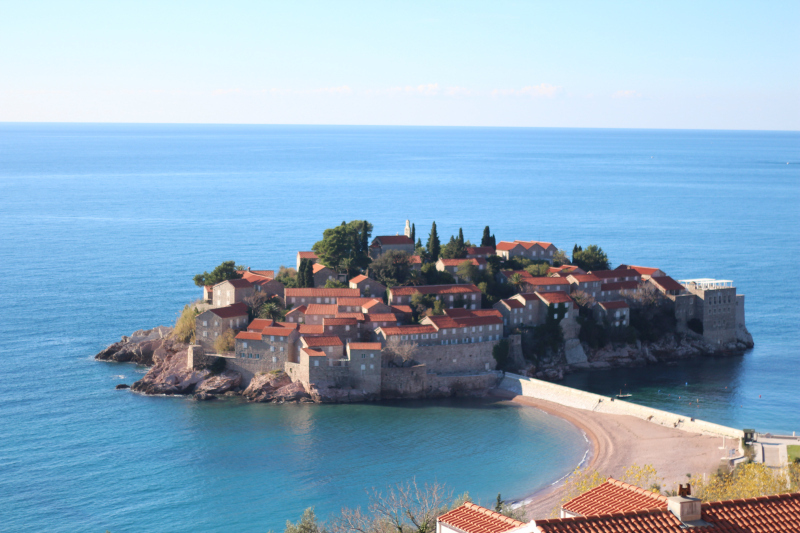 From Budva to Ulcinj, we’ve got it covered. 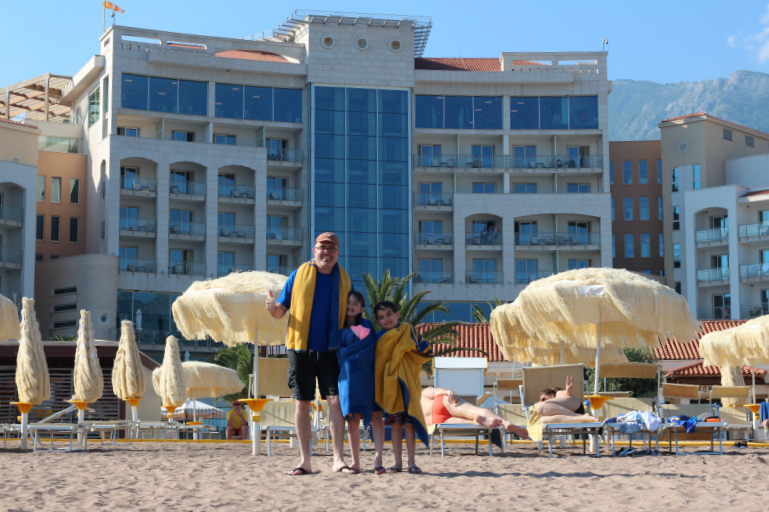 The luxurious 5-star hotel Splendid Spa Resort is set directly on a long sandy beach in the heart of Bečići, just 2 km from Budva’s Old Town. The posh spa area with heated indoor pools, saunas, hot tubs and steam baths with Swarovski crystals is at guests’ disposal. 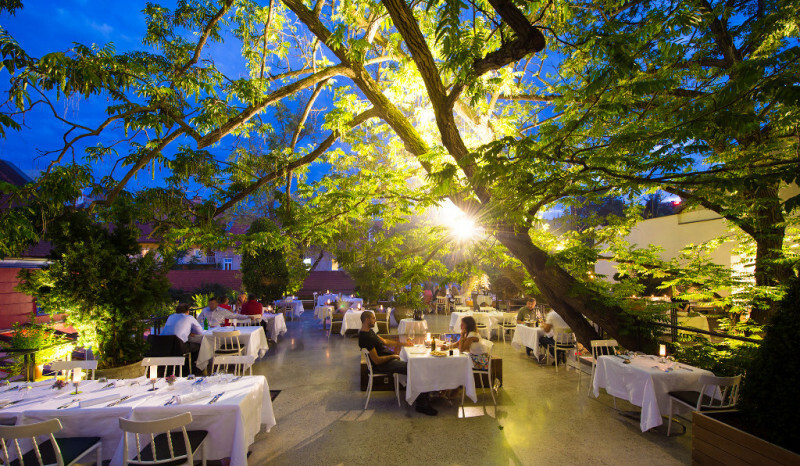 The on-site restaurant serves delicious Montenegrin and international cuisine with freshly prepared ingredients. 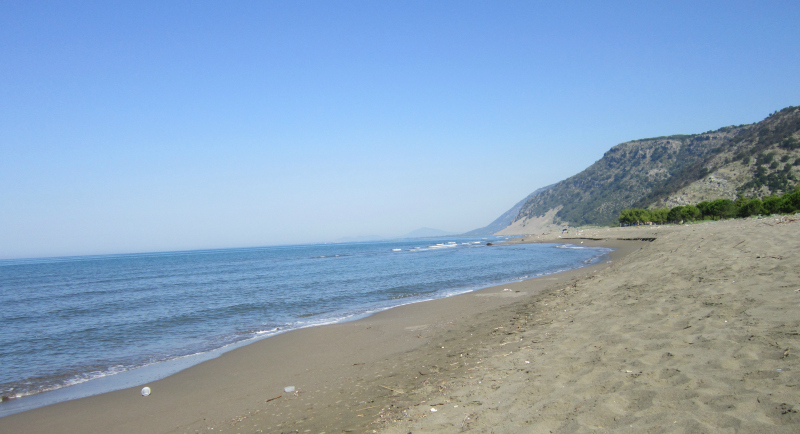 The private sandy beach with parasols and loungers is available. Guests can relax by the pool where drinks and snacks are served throughout the day. Tivat Airport is 20 km from Splendid Conference & Spa Resort, and the Podgorica Airport can be reached within 60 km. Located right next to the Bay of Kotor, Casa Rozalija Bed & Breakfast comprises a sun terrace and provides guests with a hot tub, sauna, shared lounge and kitchen. Rooms here feature a stone wall interior and come with antique furniture, which gives this bed & breakfast soul. At Casa Rozalija, you can enjoy homemade cakes, bread, ham and cheese for breakfast. 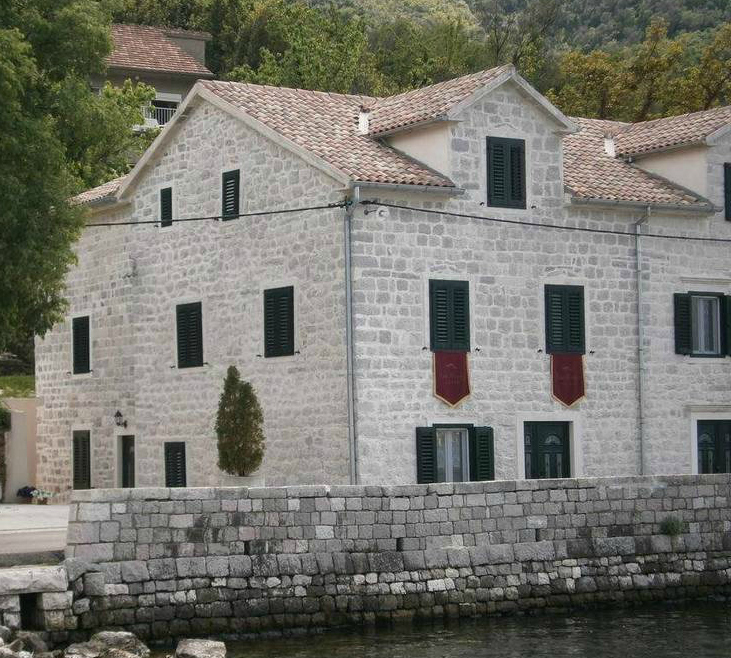 Perast Old Town and several scenic islets are a 5-minute boat ride away. The UNESCO-protected Kotor Old Town is 9.5km away. Tivat Airport is located at a distance of 12km. Free private parking is provided on site, too. 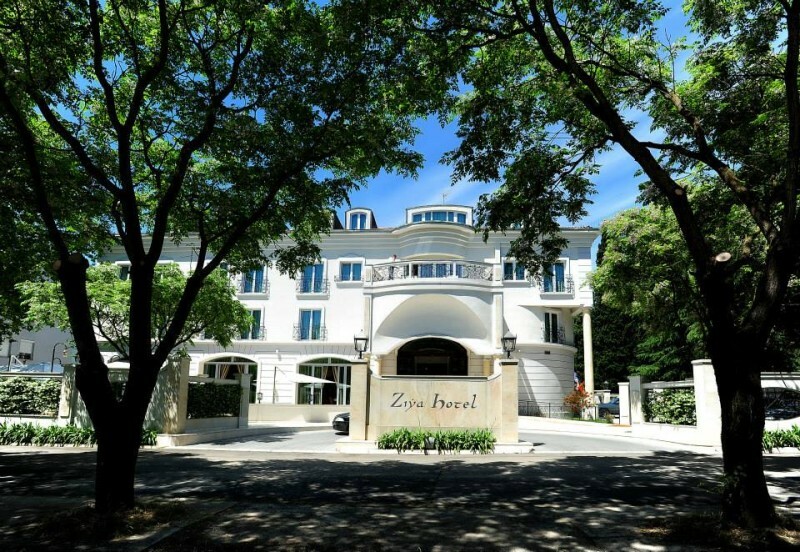 Located in the capital, the 5-star Ziya Hotel offers a spa with a hot tub and a sauna and a modern gym. You and your family can enjoy the indoor swimming pool. Start your day with their posh continental breakfast. Free private parking is available in front of the hotel. Podgorica Airport is 13km from the hotel. 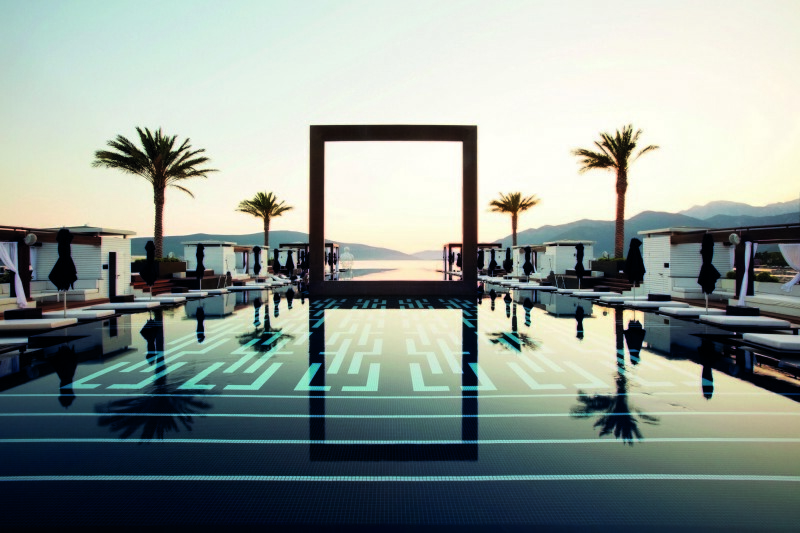 Located in Tivat within a luxury yacht marina, Regent Porto Montenegro offers an outdoor pool, as well as a spa and wellness center. 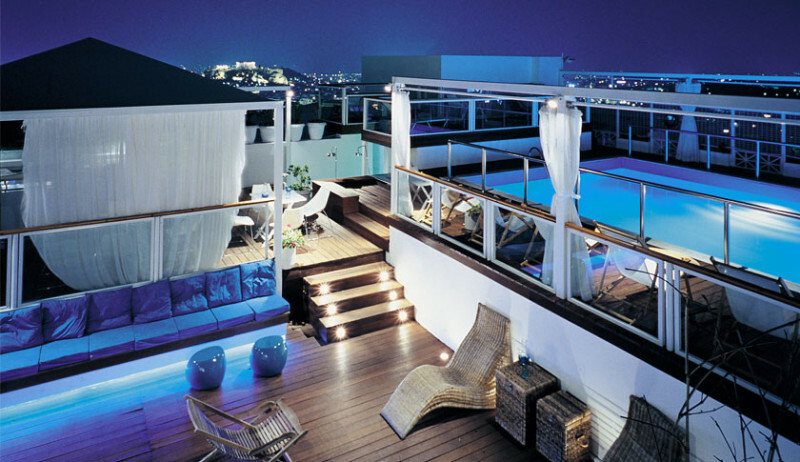 Built in Renaissance Venetian style, this luxury hotel offers rooms that feature either a balcony or a terrace. The Regent SPA, which is we consider to be the BEST SPA in Montenegro, include saunas, a Turkish bath, a steam room and a gym, as well as an indoor pool. 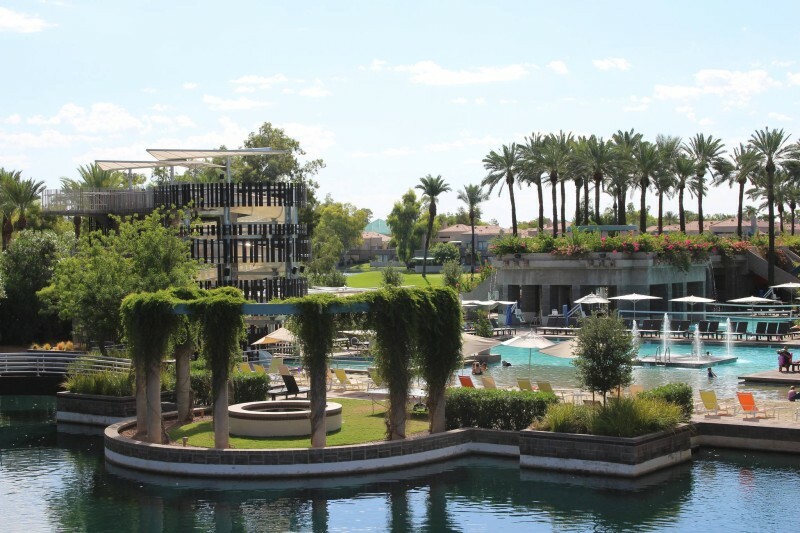 Tennis and squash courts, as well as a bowling alley, are also available nearby. 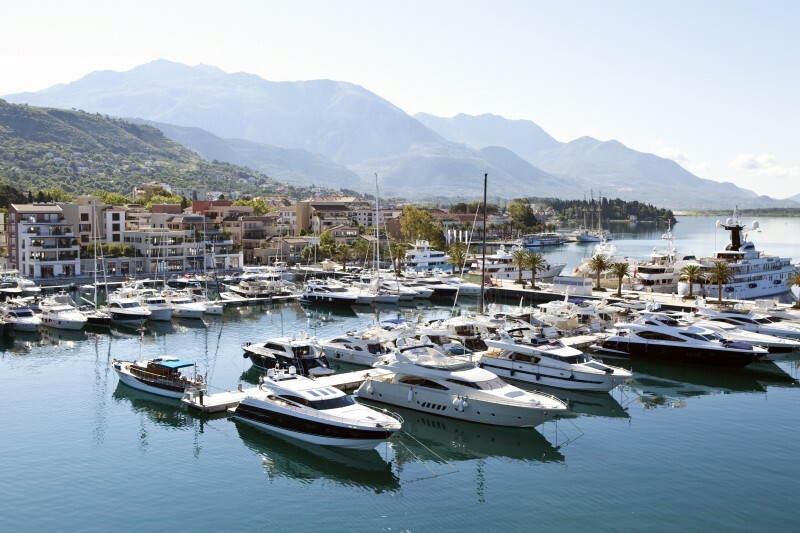 The world-class marina features 250 boat berths and houses a world-class yacht club and full sailing facilities. 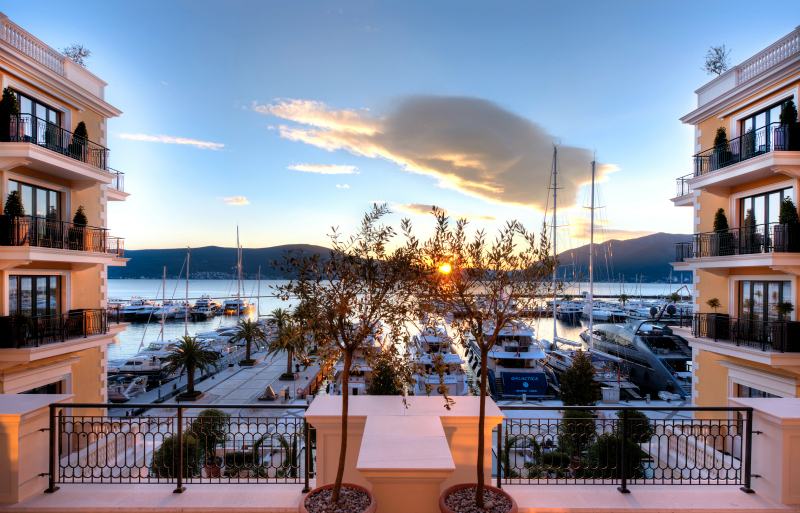 Porto Montenegro is also a home to numerous cafés, waterfront restaurants and upscale retail stores offering both local and international brands ranging from fine wines to luxury fashion. The hotel is 4.6km from Tivat Airport and 90km from Podgorica Airport. Free private parking is provided on-site. 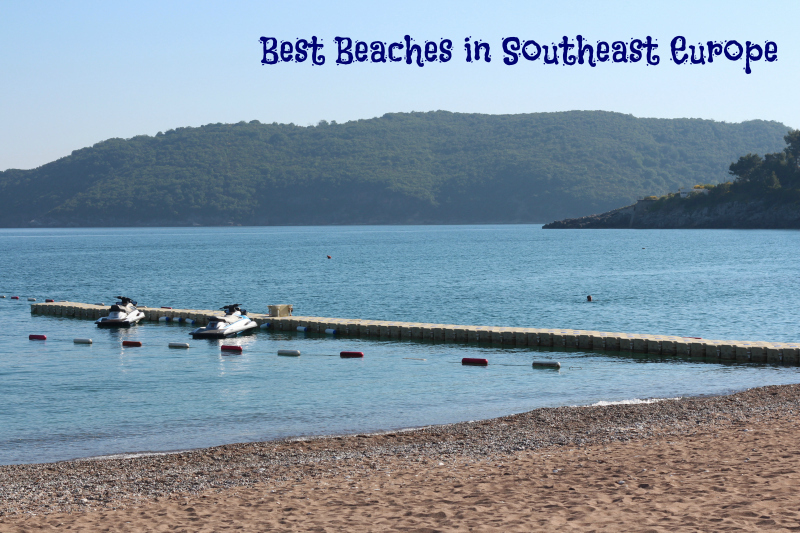 Set 1km from Ulcinj’s city center, Hotel Senator is located 500m from the beach and offers an indoor and outdoor pool, as well as bike rentals and massages. 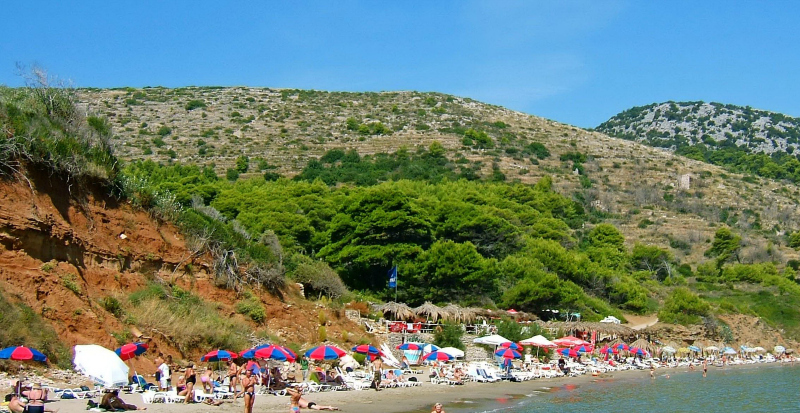 The sandy Velika plaža (Long Beach) is 5 km away from Senator Hotel. Skadar Lake can be visited 9km from Hotel Senator. Podgorica Airport is 65km away. 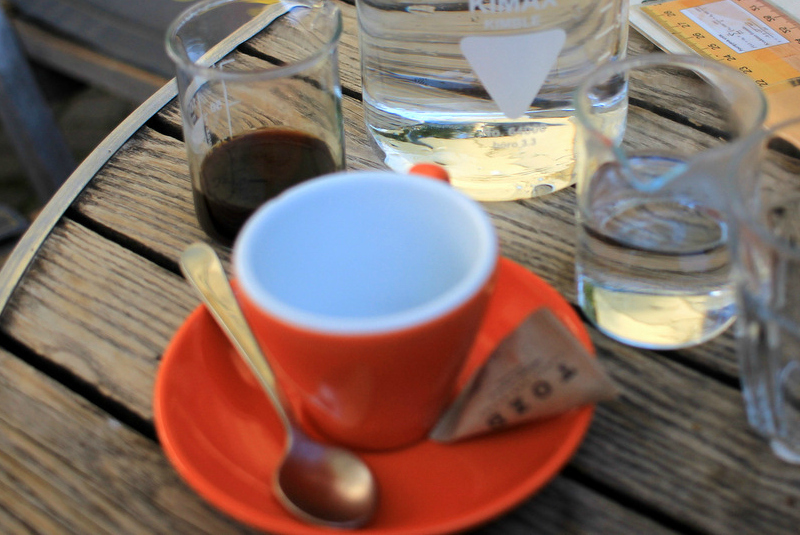 Coffee culture has always been particularly strong in Zagreb, not just in flavor but in society. 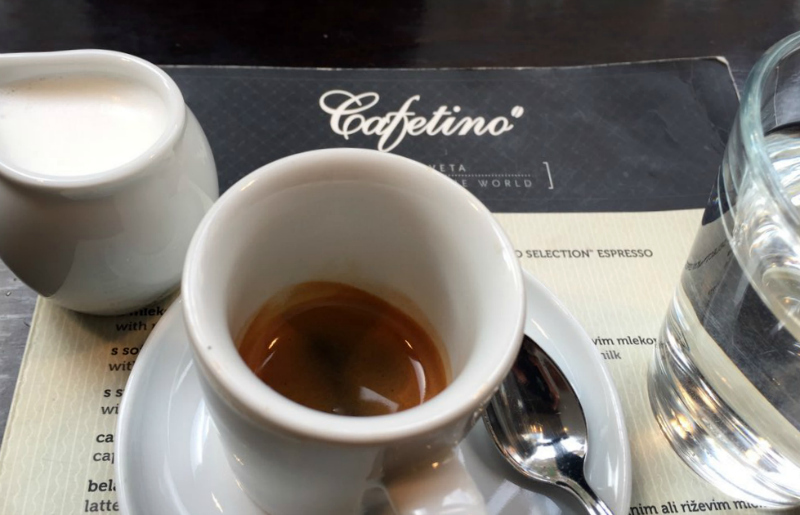 People value a good strong espresso, cappuccino or latte in a ceramic mug rather than an overpriced sweet “coffee” drink that they take away as they walk through town. People want to chat or do business in a relaxed way, sitting at a café with a delicious cup of locally roasted coffee. 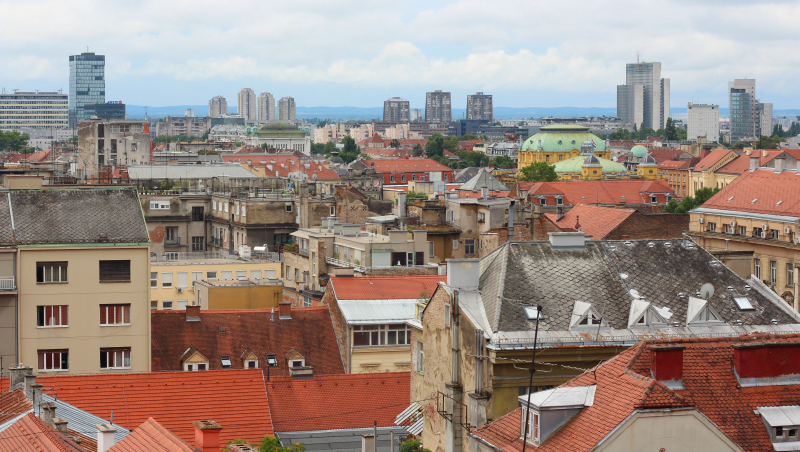 While in Zagreb, there are four coffeehouses that make me want to come back, so here’s my list! 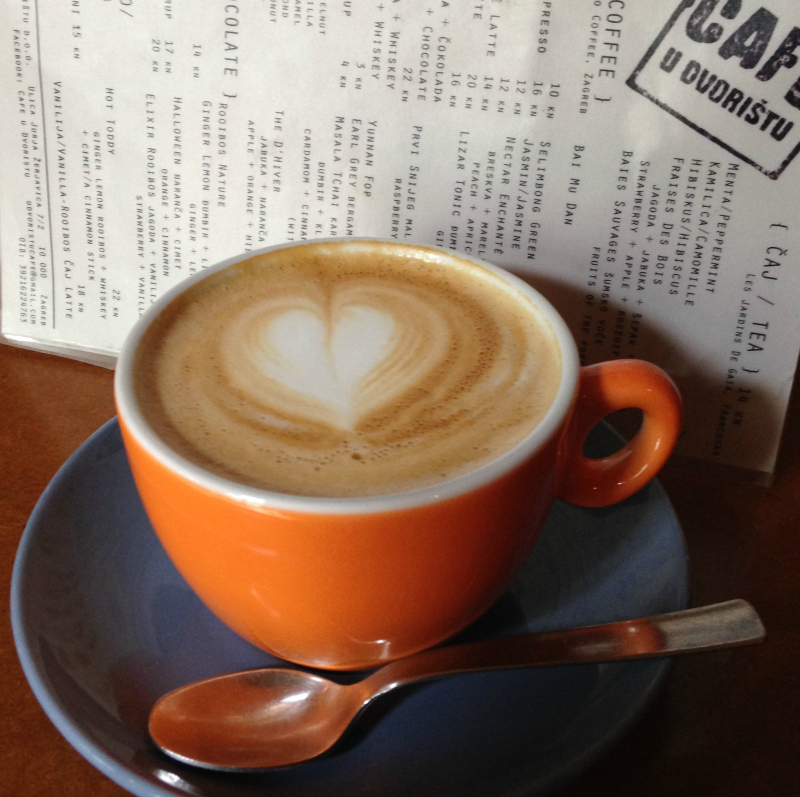 Locals come here for great coffee, located on the most prominent street of Zagreb, Ilica. This is not only a coffee bar, but also a coffee roaster. Owner Nik Orosi is a pioneer in the field of all things coffee, sourcing coffee from specific producers and roasting it himself for maximum freshness and flavor. 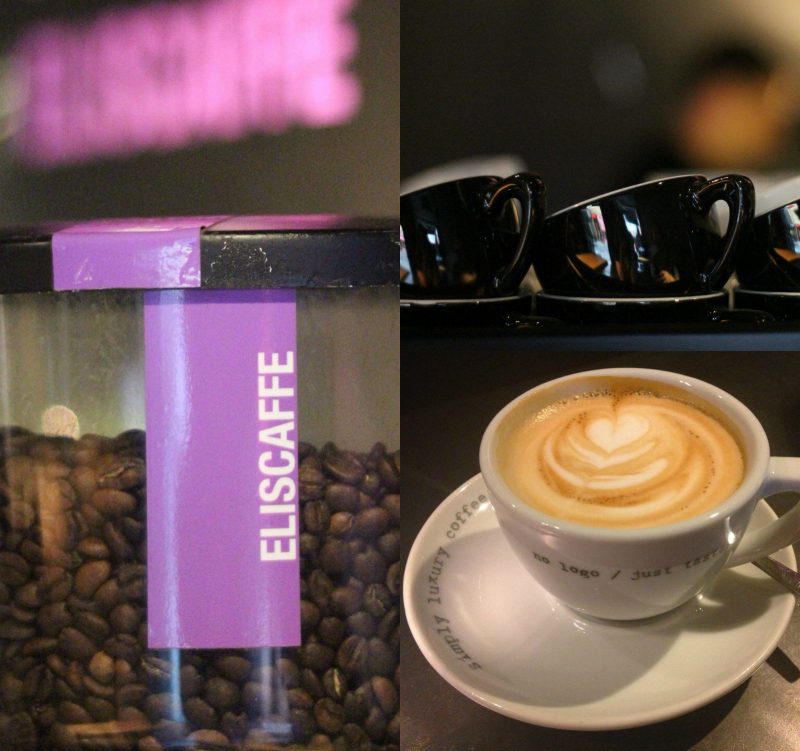 Eliscaffe coffee brand is available for purchase, which is where I get my supply every time I am in town – convenient for true addicts. Eli’ s Cafe is known as “no logo, just taste!”, and it just opened its second location. 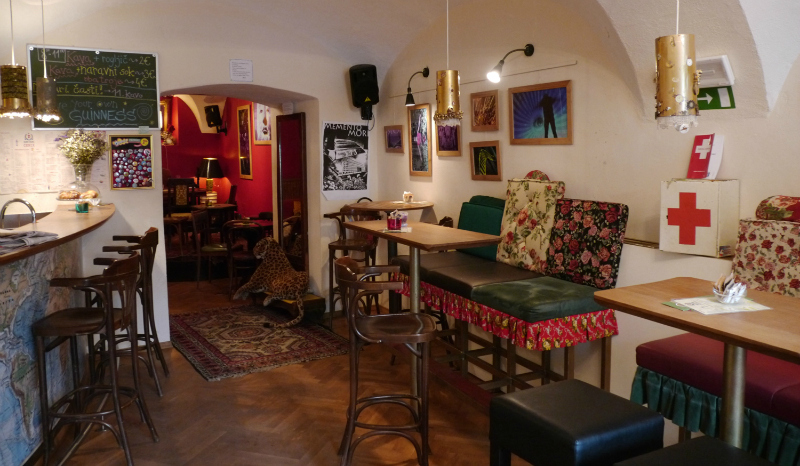 At Cvjetni trg, you can have coffee in countless cafes, but if you look closely you’ll find excellent coffee in a small café, hidden in a passage and decorated in an industrial, hipster-style. Cogito Coffee Shop make truly amazing coffee. The concept was devised by two Matijas, who were frustrated that there were not enough coffee roasters in town, so one of the Matijas opened a roasters in Jurja Žerjavića Street, right next my next favorite coffee shop called Cafe u Dvorištu, which was opened by the other Matija. U Dvoriste is situated in a quiet backyard setting in the center of a building block. 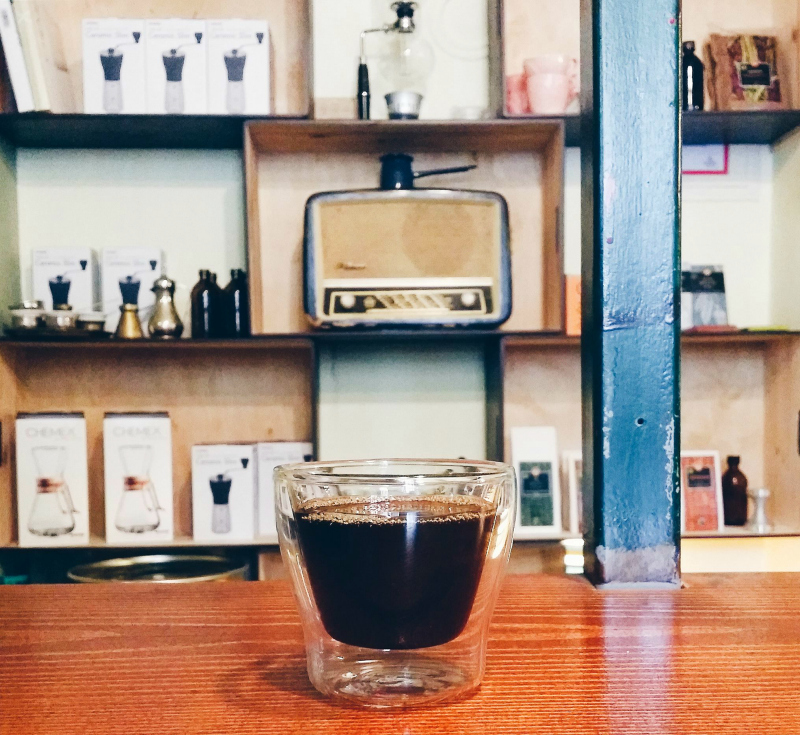 Immediately next door, there’s a small roastery – Cogito Coffee Roasters – where you can see where your coffee was roasted. 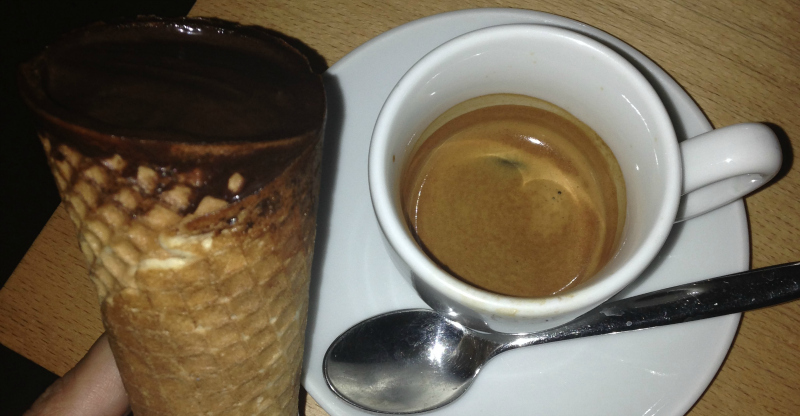 You can enjoy a delicious coffee with milk or even a cup of aeropress coffee, as well. Naturally, they also sell their coffee – either in bean or ground version. 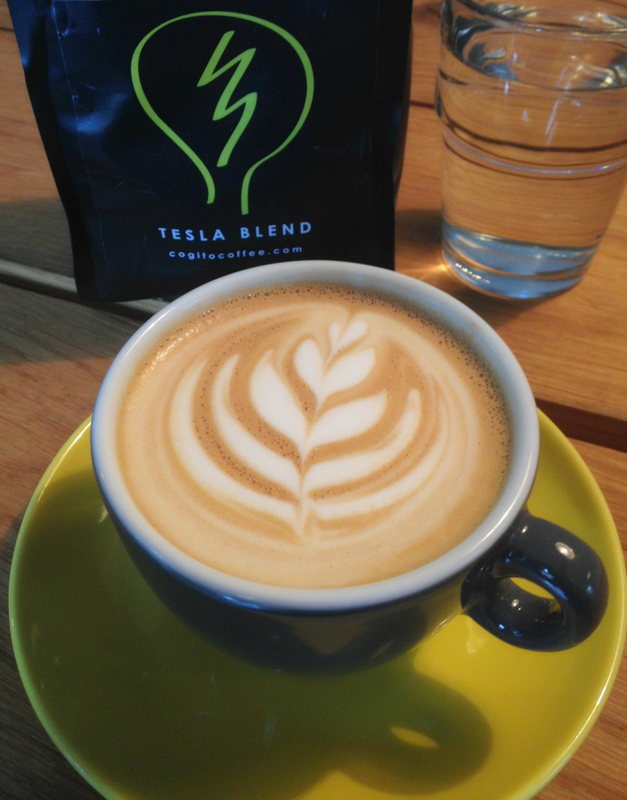 Do you know why Cogito Coffee blend is called “Tesla”? Because their location actually used to be a lightbulb factory. 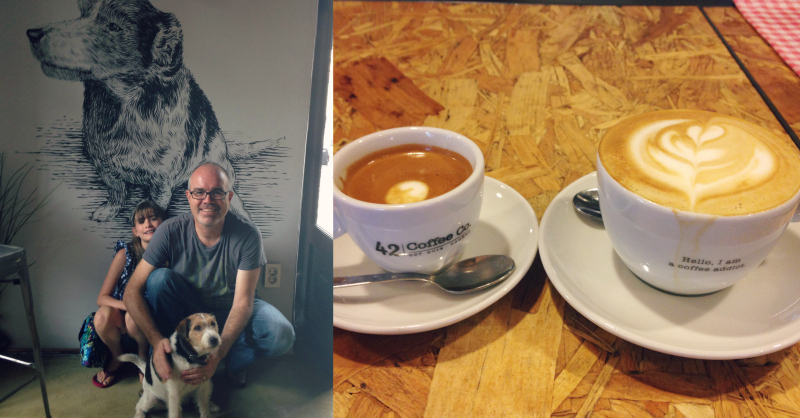 In the cozy ambient of 42 Coffee Co., located on (old) Vlaška, they serve top-notch coffee and guarantee pure pleasure. The lovely barista will chat with you about all the wonders of coffee. Industrial decor paired with a giant community table with a dog-friendly environment, and you have yourself a winning combination. 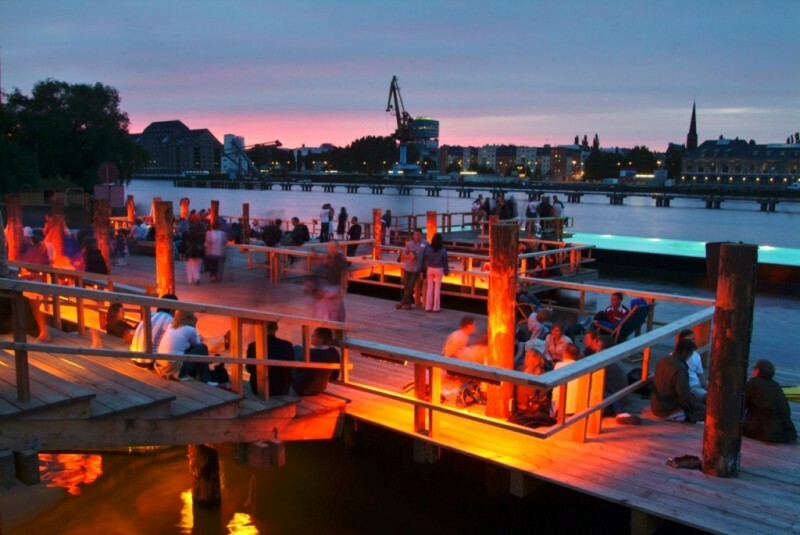 There are few reasons why locals love this place. First it is owned by once very famous football player Zvonimir Boban; Second, decoration is unique with lamps made of old cassettes, chairs look like big puzzle toy or old chairs taken from high school classrooms. This place is fun for the WHOLE FAMILY when you are wanting coffee but need something for your kids to enjoy, too. The ice cream is superb, and the range of irresistible cakes – all of which are based on chocolate in some way or another – almost guarantees repeat visits. Order a delicious espresso which goes sooo well with chocolate, and you’ll have a sweet experience for the whole family. Which of these coffeehouses are your favorite? How do you like your coffee? 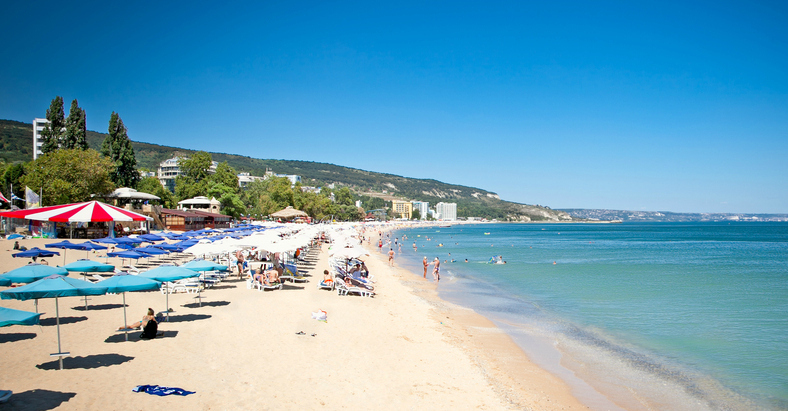 If you’re looking for a city with absolutely everything then Varna should be on your bucket list. 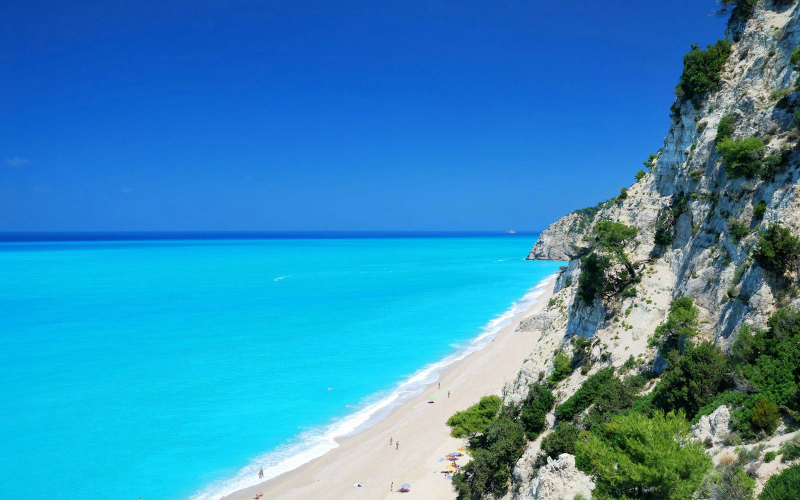 It’s oozing with tradition, coastline and history, and to add to its appeal, it’s incredibly cheap, which makes it a perfect destination for a family on a budget. But what is there to see? 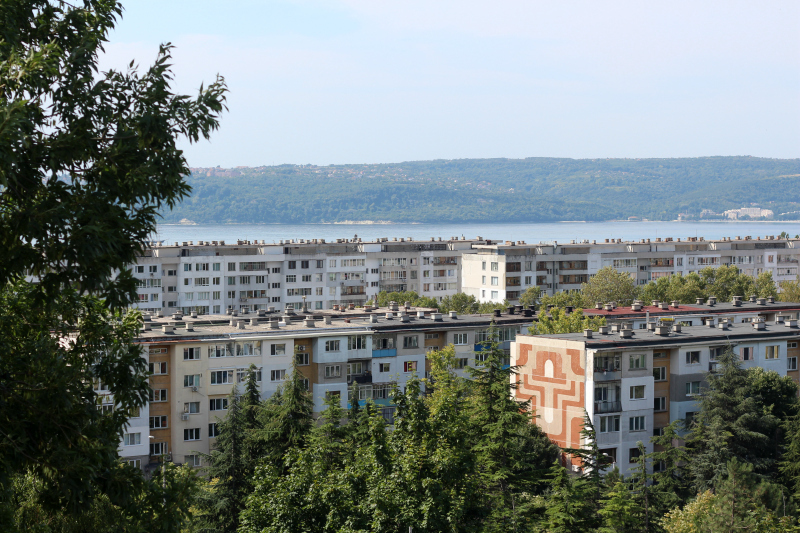 Here’s my top 10 things to do in Varna, Bulgaria. 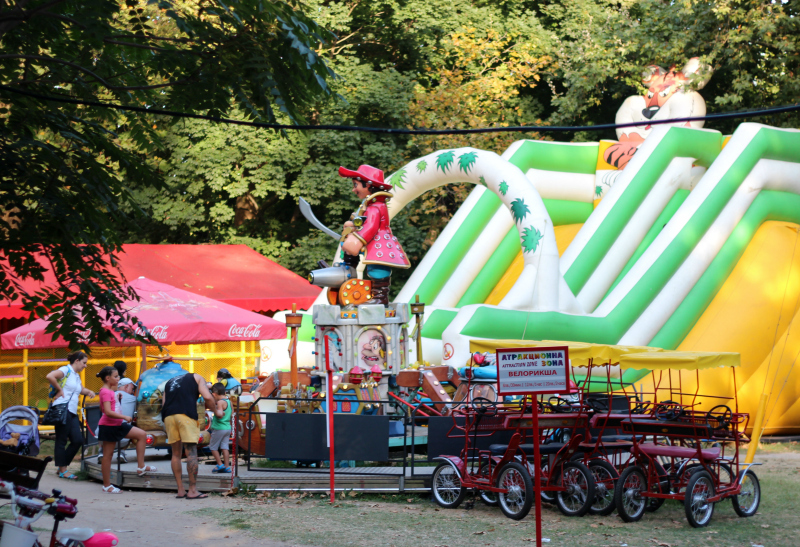 Located inside the Primorski Park, your family can enjoy different entertainment for kids of all ages. They will find an excursion train, mini golf, artificial pond with water wheels, inflate castle and so much more. There are restaurants beside the Children’s Nook, where the parents can rest, while the kids play. Parmy is family-run restaurant in Varna, and it is absolutely unbeatable in terms of value for money, quality of food and service. 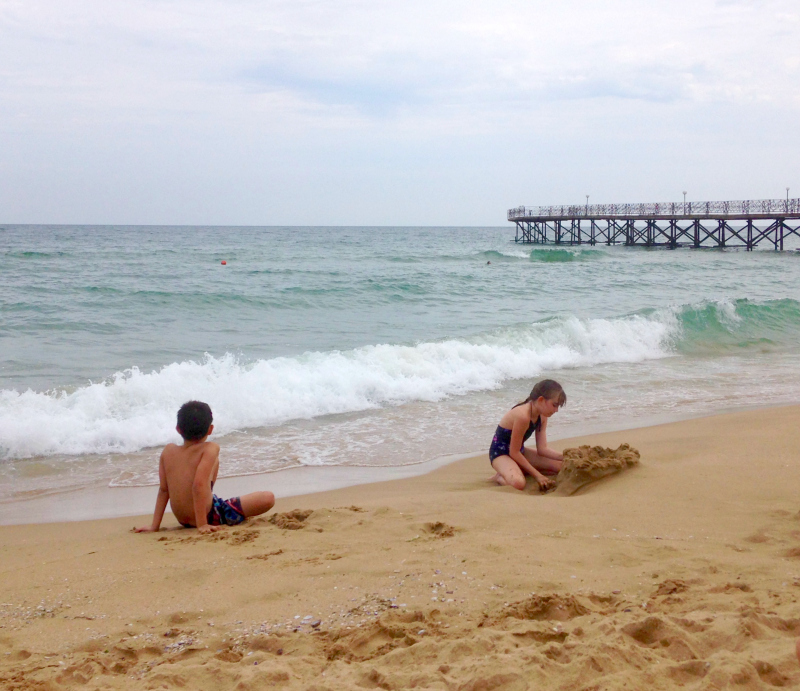 Sunny Day is perfect for the family who loves making sand castles, get a tan and relax on the beach. 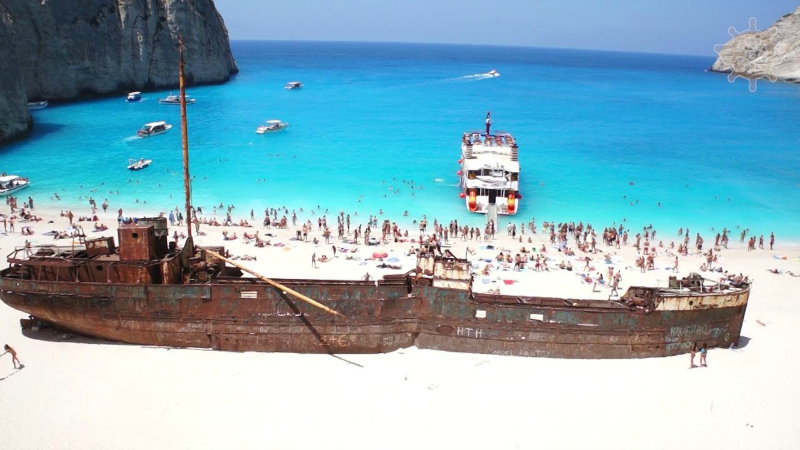 It’s not as touristy as the other beaches and you still enjoy the golden sand. 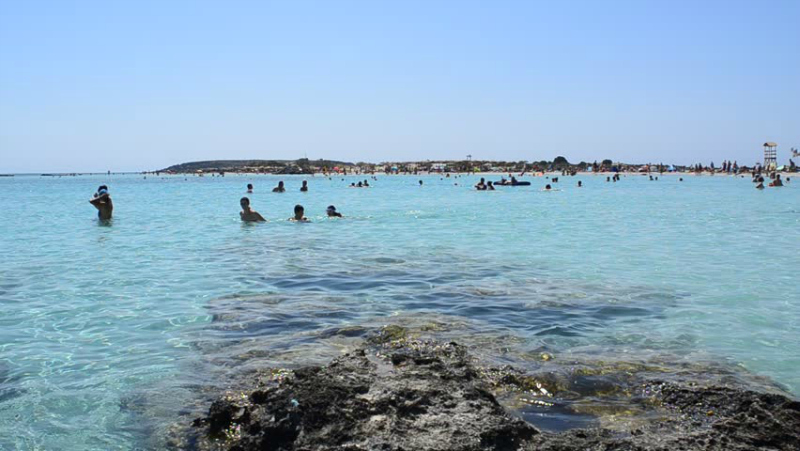 The water is calm from the middle of June until the beginning of September, providing perfect conditions for summer holiday. The Archaeological Museum displays fine collections from prehistory to Antiquity but, above all, it houses two treasures. The first of these, found in Varna’s necropolis, consists of weapons, objects and gold jewelry (4600-4200 BC). The second comprises chased-gold jewelry, including exceptionally fine earrings. The upper floor presents the main periods of Bulgaria’s history, from 681 to 1878: medieval treasure, religious gold work and superb icons. The works of the Triavna school should not be missed either. Sea Garden is located by the beach. 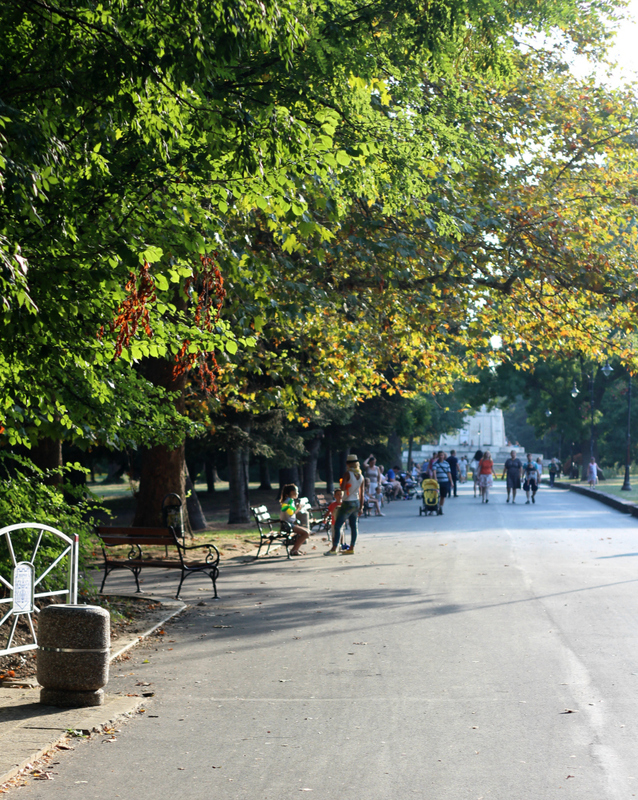 You will not only enjoy the nice atmosphere of impressive trees and accurately arranged small gardens, but you also will be able to visit some of the best sight of Varna that are located namely in this park. A thirty-minute walk takes you to Aladža Monastery. Occupied during the 13th and 14th century, it was hollowed into a limestone cliff over a height of several stories. The chapel of the deceased, the refectory and the monks’ cells are on the first level. On the second level, the rock church, decorated with remarkable frescoes, offers a splendid view of the Black Sea. Not to be missed: the catacombs, a small museum devoted to monastic life and terraces reserved, in summer, to cultural events. The Roman Baths are one of the most valuable monuments of culture in Varna, situated in the central part of the city, on the corner of the streets San Stefano and Khan Krum. 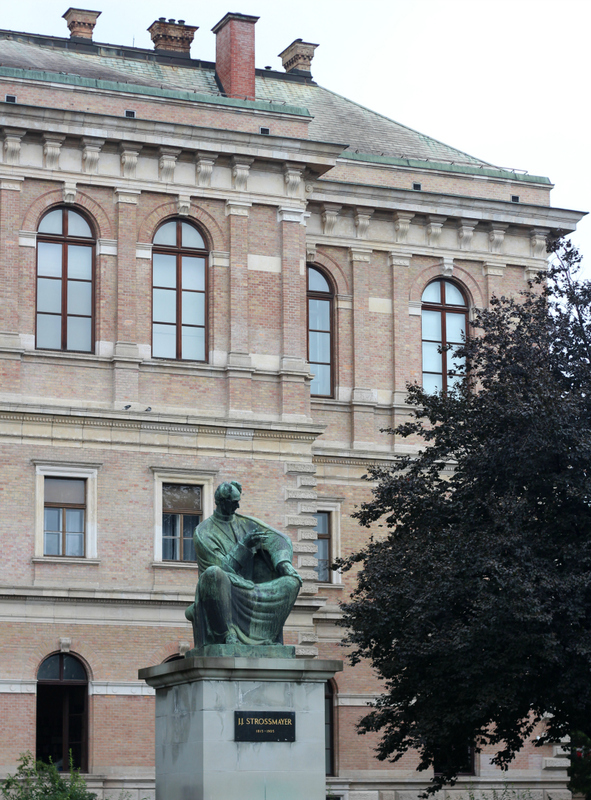 This is one of the sites of the Archaeological Museum in the city. The Public Baths of Odessos are one of the most preserved architectural monuments of the Roman Age in Bulgaria (1st – 4th century). 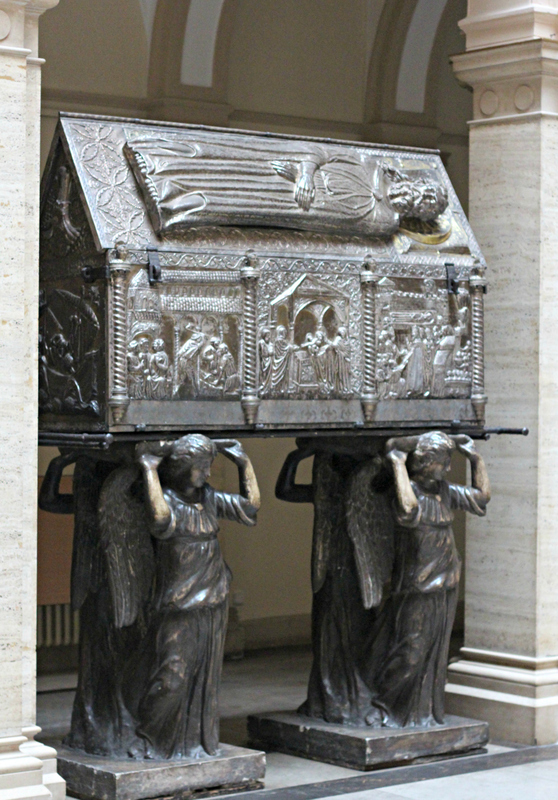 They are of the so called “small imperial style” and their construction refers to the end of the 2nd century. This palace was completed in 1926 by King Ferdinand of Romania for his English wife, Queen Marie (as Balchik was a part of Romania). It was rumored that Marie entertained her much younger Turkish lover here. The architecture – a blend of Bulgarian, Gothic and Islamic styles topped with a minaret – is unique. The rooms on show contain original furnishings, including paintings by Marie, and several photographs of the queen striking dramatic poses in the grounds. Also here is a curious collection of local archaeological finds, including Roman pottery and mammoth bones. Behind the palace are the extensive botanical gardens. Around 600 species of flora are featured throughout a series of themed gardens, including an impressive collection of cacti. A parasailing ride is the new trendy attraction along the beaches of the Black Sea. You enjoy a motor boat-driven, parachute flight over the sea. 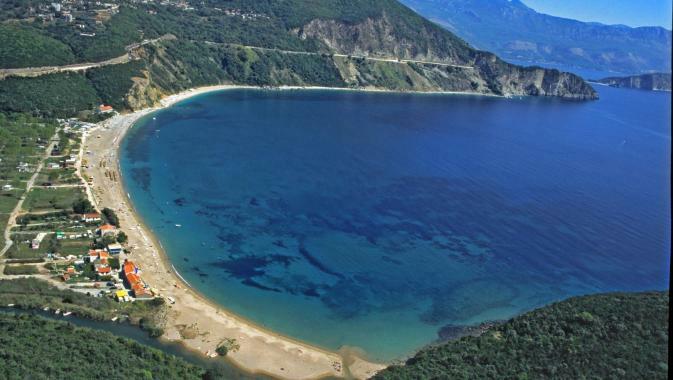 The flight lasts approximately 12 minutes and guarantees high adrenaline and an unforgettable view over the beach. 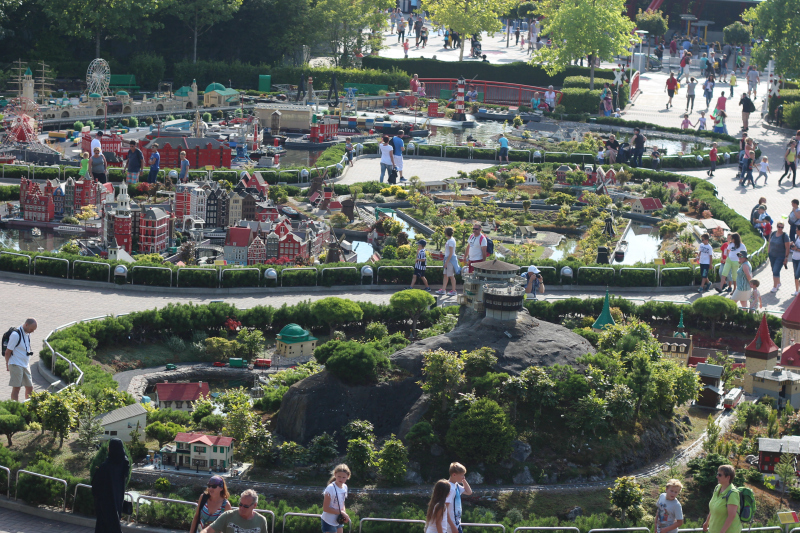 LEGOLAND Deutschland offers a little education with their fun-filled experience at the theme park. Located in LEGO X-TREME, LEGOLAND ATLANTIS by SEA LIFE is a great place to cool off in the summer, and the kids learn a lot while enjoying amazing views in the aquarium. Also in LEGO X-Treme is the LEGO Academy, where you explore your creative side. 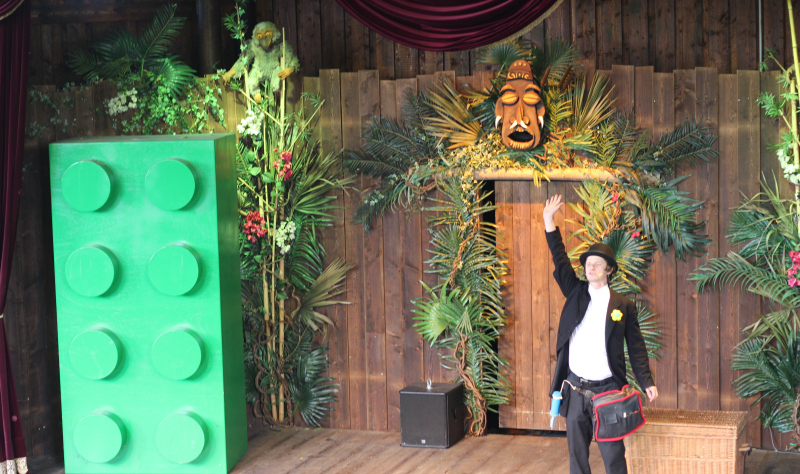 LEGOLAND Deutschland offers numerous shows throughout the park, and they change throughout the season. From the Castle Theatre to LEGO Arena, from Monkey Theatre to LEGO Studios, your family will be entertained. Be sure to check the show schedule when you visit the park. On busy days, you should arrive at least 15 minutes prior to show time to see a show. LEGOLAND Deutschland Resort’s food is delicious with international options at many vendors. My family’s favorite is Schnitzel Depot. Who doesn’t German Schnitzel?! 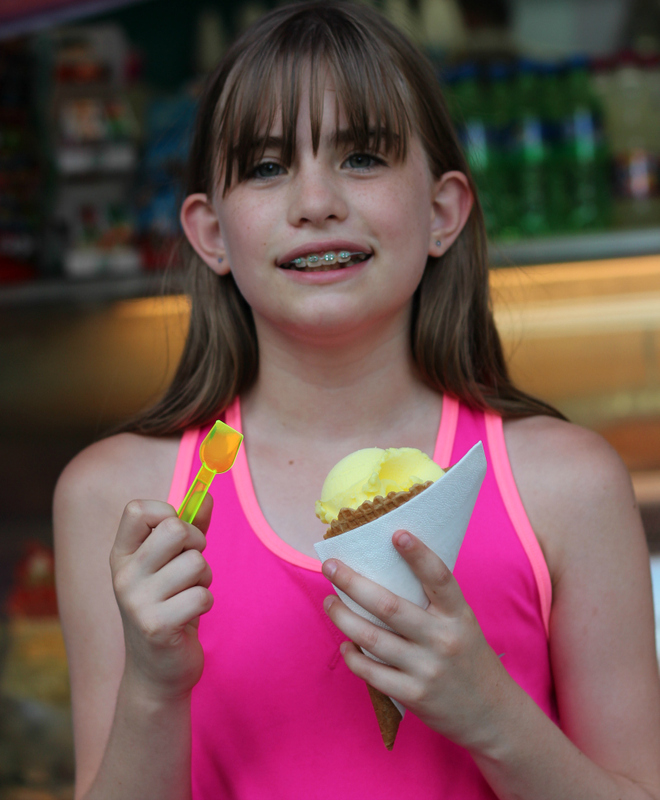 If you’re in the mood for something sweet, make a stop at Ice Cream Station for some yummy ice cream. However, you may also pack a picnic and bring your own food (we especially appreciate this with children who may not want to wait in line or desire smaller portions). Bring bottled water, snacks and consider bringing a picnic. Set a budget. You can spend as little or as much as you like. If you bring your own camera for pictures, pack a picnic and limit souvenir purchases, you can still have a great time with rides, shows, demonstrations, etc. Plan according to your family budget and know that souvenirs and food are typical amusement park prices and plan accordingly. 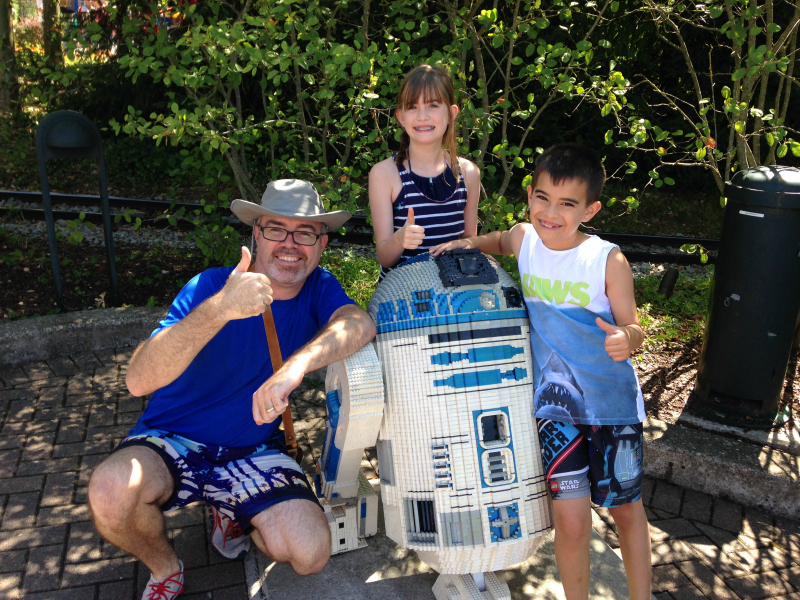 We purchased the Family F&B Ticket in advance, where we saved up to 30% of our delicious food and felt fortunate to enjoy the full LEGOLAND Deutschland experience. 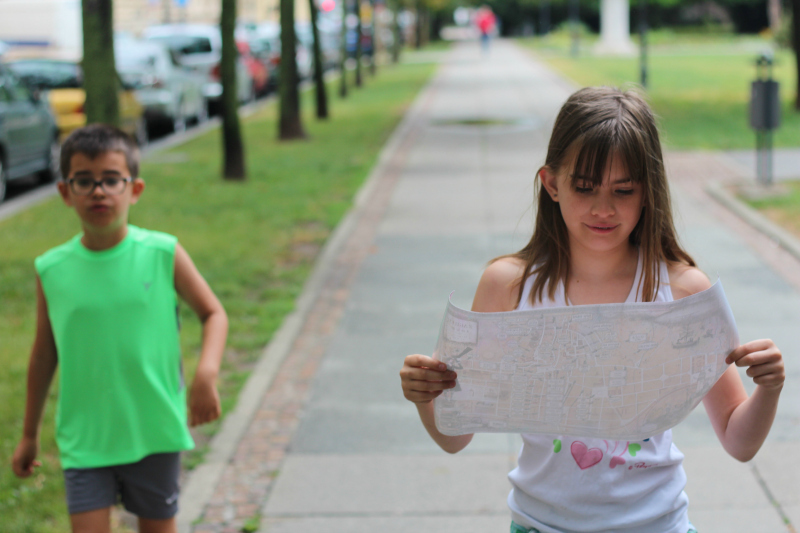 Measure your children before the trip and determine which rides they will be able to enjoy. Dress comfortably for a day at an amusement park. Wear comfortable shoes. In the summer, plan for water rides. 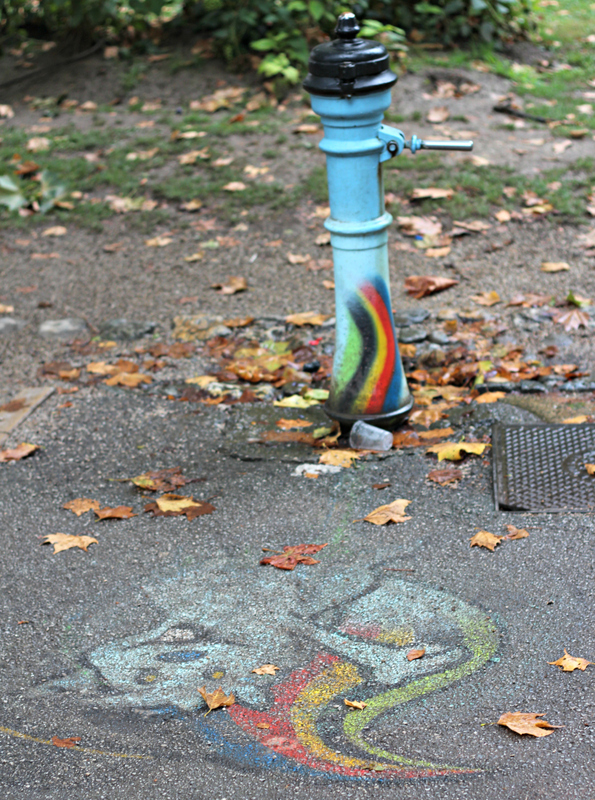 In the winter, plan to be outside in the cold. Don’t forget to put on or bring your sunscreen! 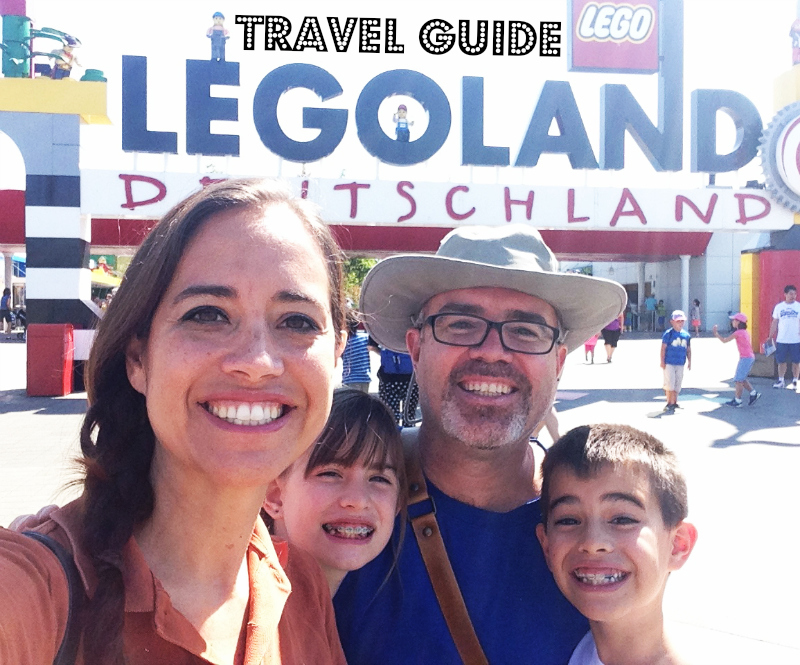 I hope this LEGOLAND Deutschland Resort Travel Guide proves to be helpful for your next trip. I highly encourage you to bring your family and friends there! Ljubljana has a vibrant culinary scene. There are kitchens that turn out the very best dishes which left us drooling on the tablecloth and others that deliver special, sincere service. 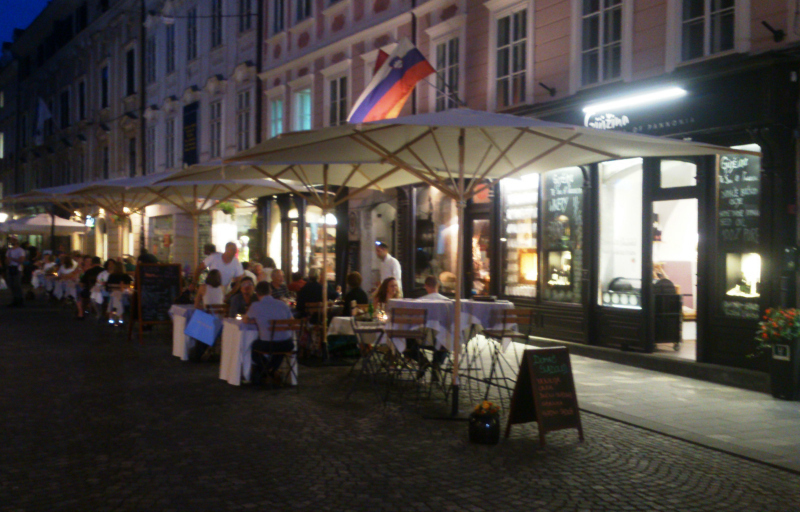 Ljubljana has hand-picked the best foods around Europe and adopted them as their own. Here are our top 10 favorite places to eat. 1. Druga Violina Druga Violina uses locally grown produce from a nearby farm, only serves traditional Slovene dishes and located in the city’s old town, but there’s a twist in the tale with the “second violin.” It’s actually a project for people with special needs, who complete tasks on a farmland near Ljubljana and also work as servers in the restaurant. Try their daily specials (meat, chicken and vegetarian) – our kids and adults LOVED them. Also, try pražen krompir. In 2002, this Slovenian love for this dish resulted in the creation of the world’s first Society for the Recognition of a Sautéed Potatoes as a Main Dish and organized a World Sautéed Potato Festival, held each year in a different Slovenian town, so it is fitting that when you visit Slovenia, that you enjoy this dish. 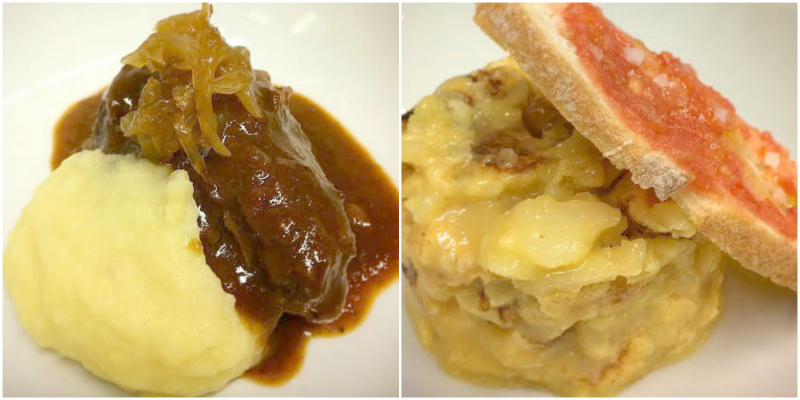 🙂 Lastly, you must order their Ljubljanski štrukelj , which was the perfect “coda” to our musical culinary concerto! 2. Gostilna Dela Gostilna Dela has a special focus given to creating employment opportunities for local youth that would be otherwise excluded from the working world. A variety of daily menus are on offer (meat, fish and vegetarian), and you won’t find a restaurant more in tune with the desires of its customers. Trying the homemade štruklji, and thank us later. 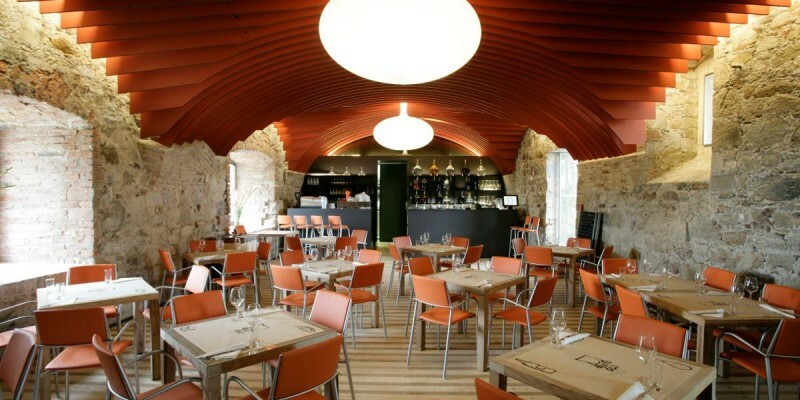 Located on the grounds of the Ljubljana castle, this friendly restaurant is posh without feeling pretentious. Much of the menu is determined entirely by the local ingredients available form the nearby food market. Try their sampler appetizer plate with some pâtés and their daily specials, which they pick up that day in the market. 4. 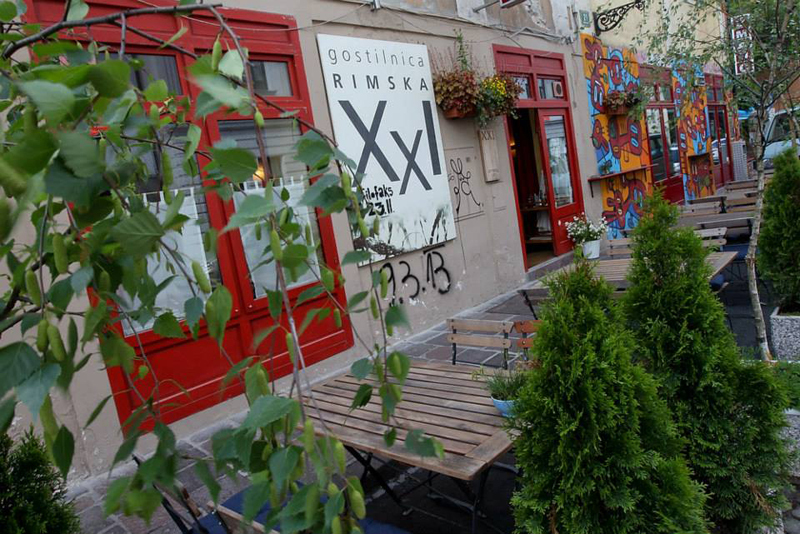 Gostilnica XXI Gostilna Rimska XXI is perfect when you want to try traditional Slovenian cuisine in an attractive setting. The chefs use local ingredients. Try žlikrofi or Istrian fuži. 5. 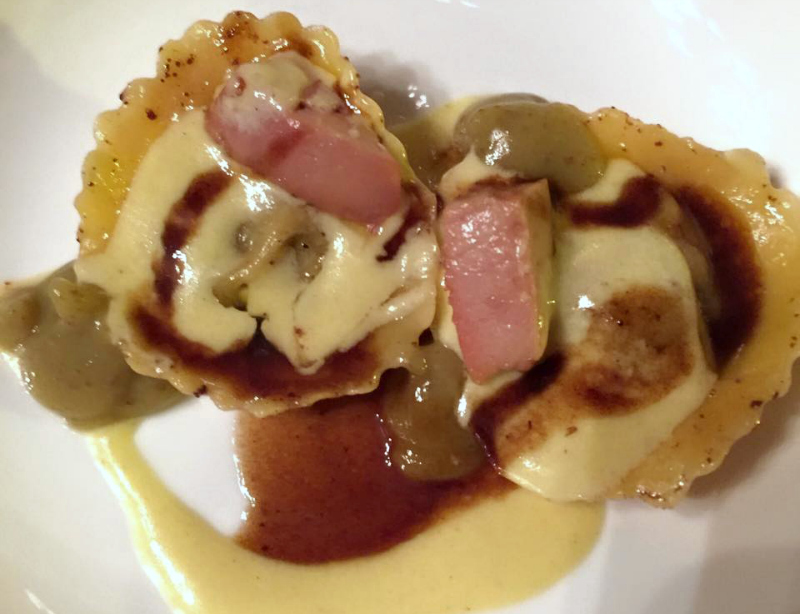 Restavracija JB Chef Janez Bratovż is famously known for his ravioli with pistachio, foie gras, goat cheese and covered in a cream sauce. Try the polenta or bear meat appearing from time to time. Güjžina offers traditional cuisine from the region of Prekmurje, which is situated in the far northeastern corner of the country and influenced by neighboring Hungary, Austria and Croatia. 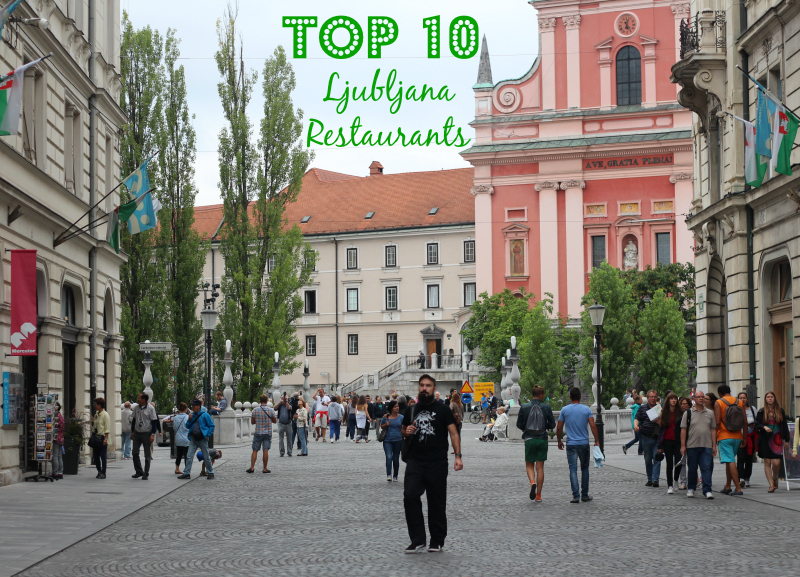 Try the award-winning bograč and the gibanica, considered the best in the city. 7. Pri Škofu Run by women, Pri Škofu serves some of the best prepared local dishes and salads in Ljubljana, with an ever-changing menu. Try their ginger soup and traditional cherry and cheese dumpling. 8. Restaurant As Gostilna As has an eclectic international menu with delicious salads and pastas, but the prosciutto stands out. The atmosphere in the restaurant and its rooftop terrace make it a super cool place to enjoy an appetizer and light meal in the evening. 9. 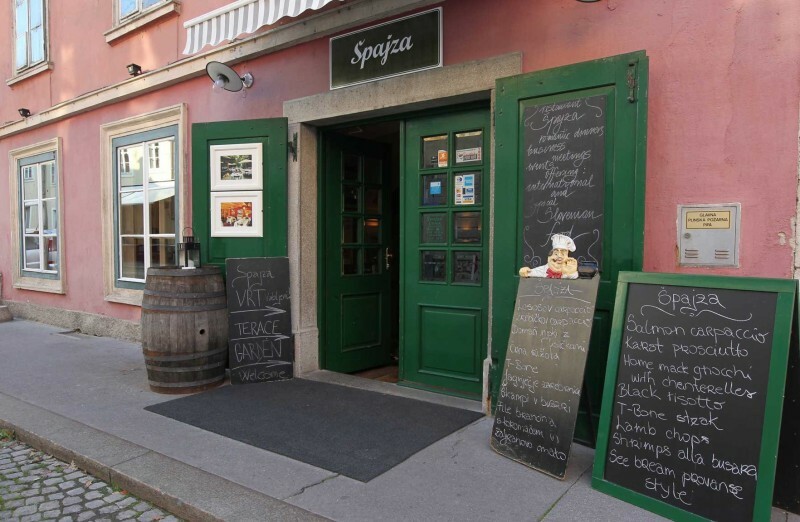 Špajza Old Town’s Špajza offers less common meats on their menu, such as rabbit, lamb and even kid goat in its homely decorated establishment.Try the žrebičkov z jurčki, if you want to feel like Andrew Zimmern. 10. TaBar TaBar offers a huge variety of Slovenian food. With the small portions (remembers that they are tapas), it is a great way to sample the best of local delicacies. 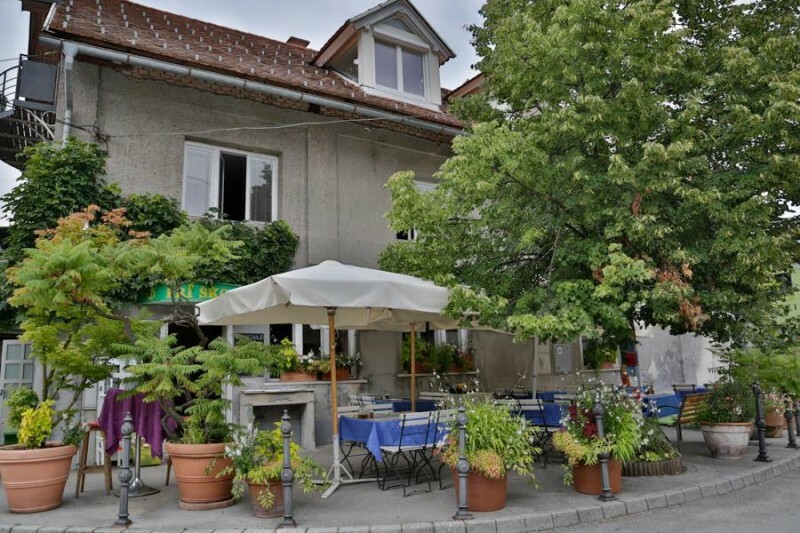 Try their prosciutto, which is considered a Slovenian specialty, oxtail, sea bass and sausage. For those wanting a culinary experience beyond simply eating in a restaurant, consider joining Ljubljananjam Food Walks, created and led by born and raised local Iva Gruden. 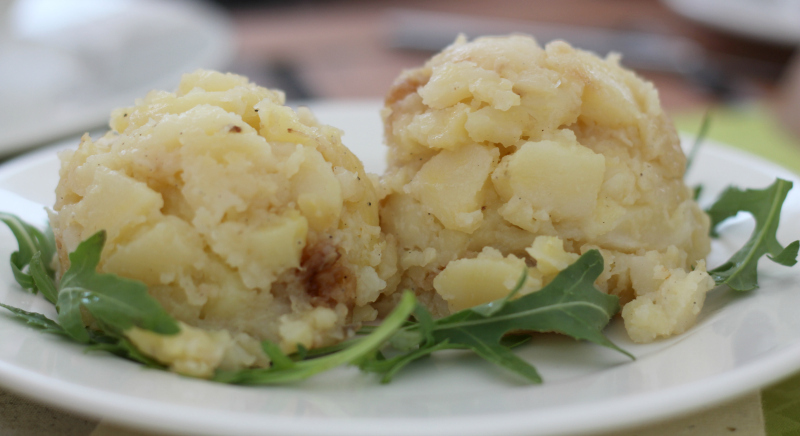 There are also cooking classes on traditional Slovenian food, like Cook Eat Slovenia. On Fridays between March and October, there is Odprta kuhna market, which has become a staple for many Ljubljana people and foreigners alike. 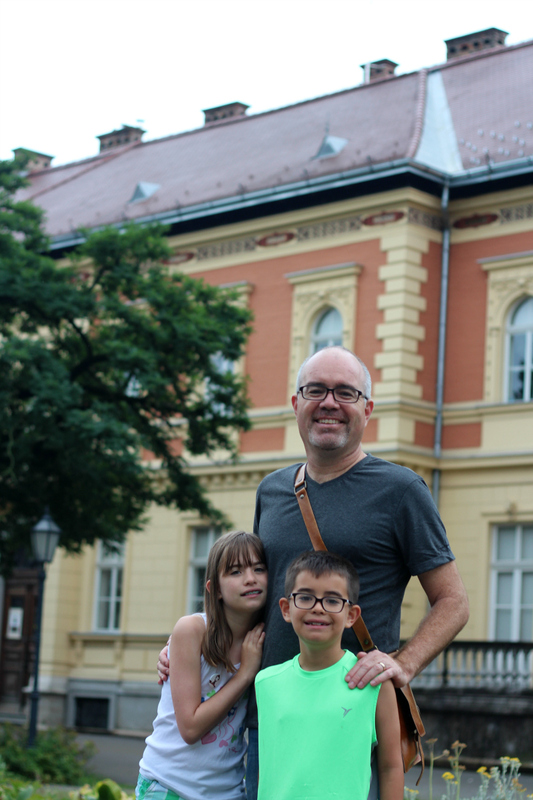 My family stopped in Zagreb, Croatia while traveling with our Eurail passes, but little did we know that this modern-city has its roots established during Victorian times. Zagreb, Croatia is probably best known as a large city which managed to stay romantic with unlimited possibilities for visiting music and theatre events, art exhibitions, museums and enjoying pleasant walks, interesting architecture and lots of parks in the center of the city. 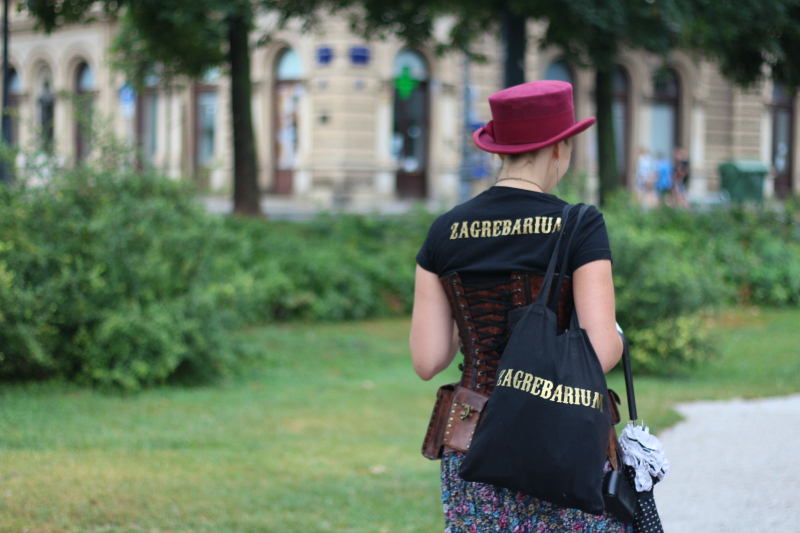 But, thanks to the Secret Zagreb’s Zagrebarium, we think Zagreb is also the steampunk capital of the Balkans. Once my family started exploring the city with Iva, owner and tour guide of Secret Zagreb Walks, we learned that Zagreb has a well-preserved historic Austro-Hungarian Victorian district, so from there it’s only one minor conceptual shift in thinking to make Zagreb all things steampunk. To Iva’s credit, she has fully embraced the steampunk vibe, going so far as dressing in costume and creating a steampunk-themed map—that my kids have declared as one of the best maps and still look at since we got home. The tour begins at the beautiful Zagreb Main Station. From there you will see traces of the city’s great expansion in the 19th and early 20th centuries and hear stories of amazing minds and incredible events that happened in Zagreb! I don’t want to give an spoilers, but if you are a red-head, you are in for a great story…and beware.  Also, did you know that the fountain pen was invented in Zagreb? This and other interesting facts will be told. Some stories will grab your kids attention that they will be talking about them for days. 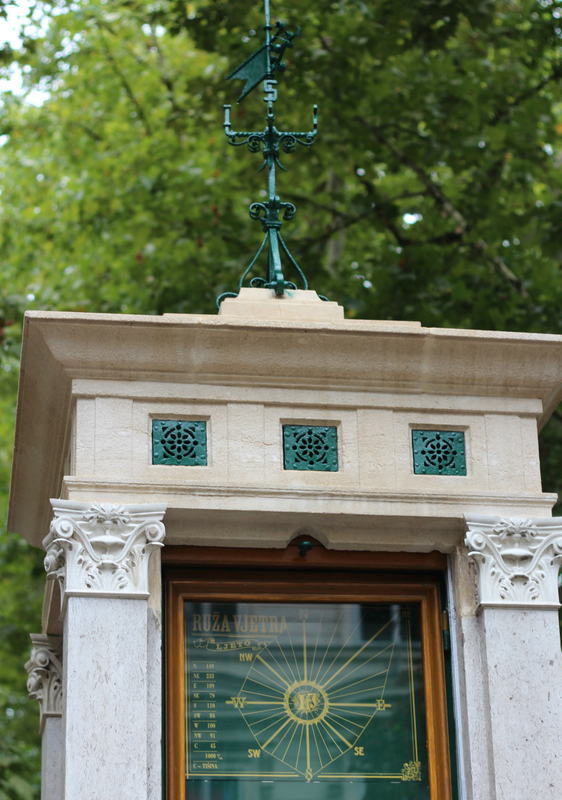 You will also follow the footsteps of Nikola Tesla in Zagreb, reveals the connection between great 20th century rock stars and Croatian scientists, searches for links between superstition and science and gives insight into earth-shaking events. 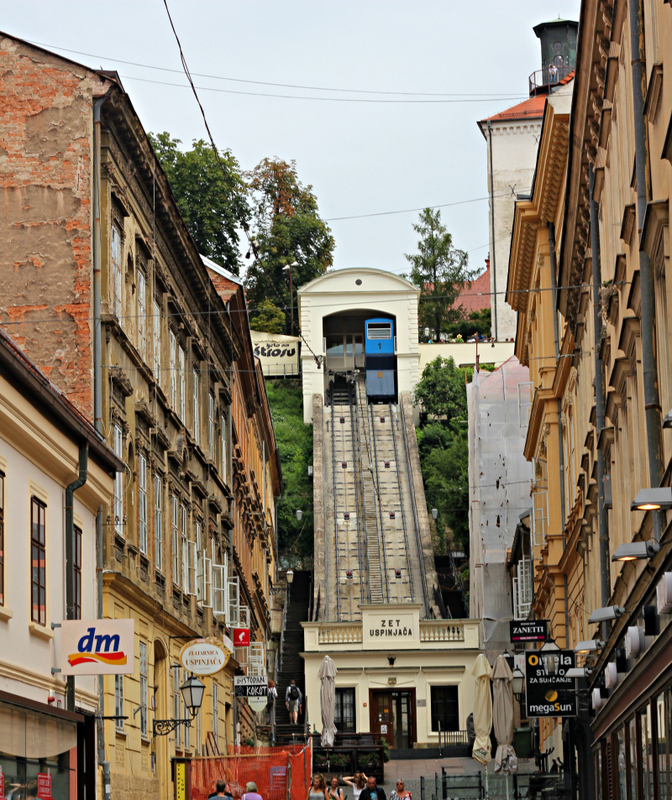 The tour will end, as you enjoy a short yet memorable cable car ride up the world’s shortest funicular, where you can see the whole city on a hill. But watch your time, as you may want to cover your ears when the cannon goes off from the tower. It was a highlight for the kids on the tour. 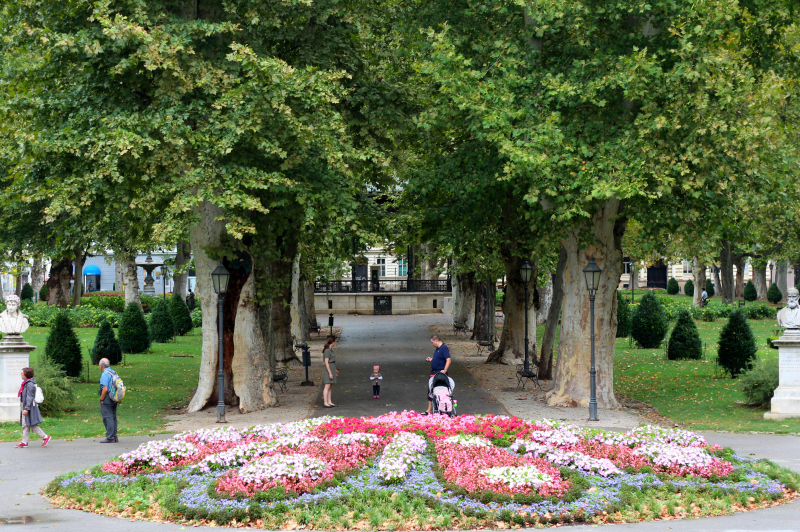 First thing is first, if you have never been to Zagreb, you MUST come! 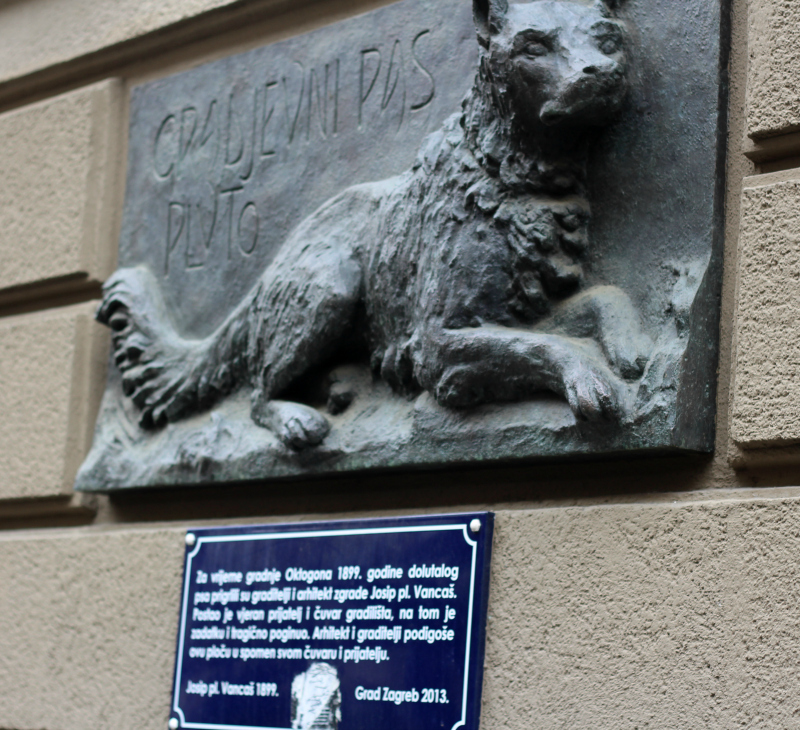 Next, you need to book the Zagrebarium tour, where Iva searches for the fantastic side of Zagreb. You will hear interesting tales of amazing minds and incredible events as you explore the city’s best-known sights and some hidden gems. 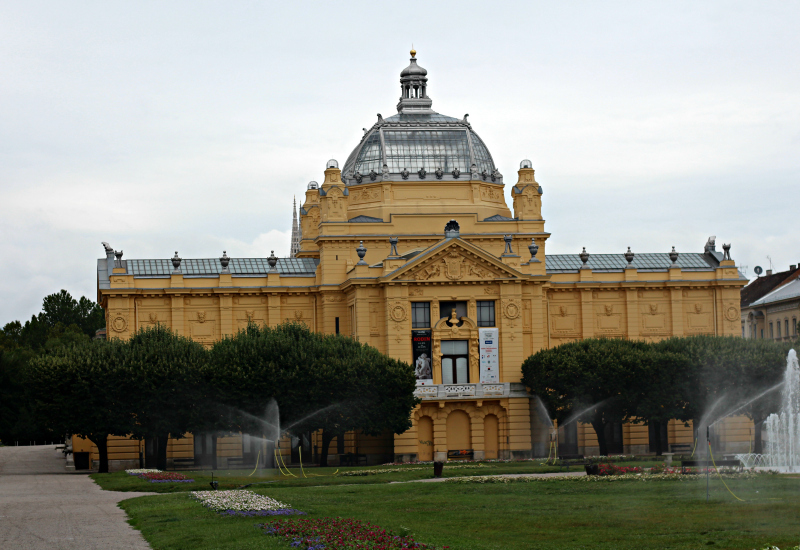 Then, the following days you can explore independently and see for yourself how magically ingenious Zagreb is. Oh, and make sure to see the changing of the guards at St. Mark’s Cathedral! Your whole family will pull out their phones to record this ceremony performed since the 17th century. One of the great things about Greece is that “family” is still a special strong bond that holds the Greeks together. “Paidiá, kalosírthate!” (Children, welcome!) is what you and your kids will hear when you come to Athens. One of the challenges of family travel is finding the balance of your desire to see the glories of Athens and your kids’ eagerness to play. First things first, make sure to stay at a hotel that has everything for everybody, such a swimming pool and free WiFi. Stay in the neighborhoods of the Plaka, Monastiraki, Syntagma or Kolonaki – all are walking distance to top historical sights. We suggest staying at Pallas Athena with its family suites, A for Athens because of its price and St. George Lycabettus Hill for its amazing view. 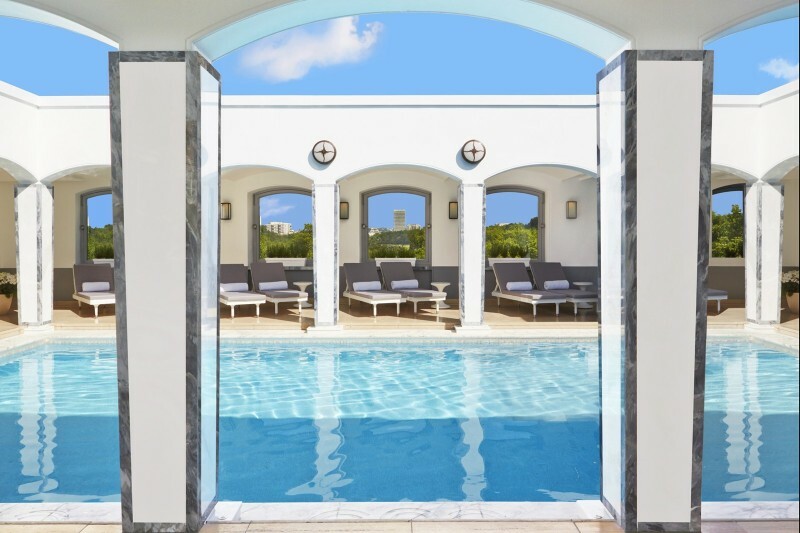 We especially love the rooftop pool at St. George. Kids could cool off there all day while the parents enjoy the view of Lycabettus Hill AND Acropolis of Athens. 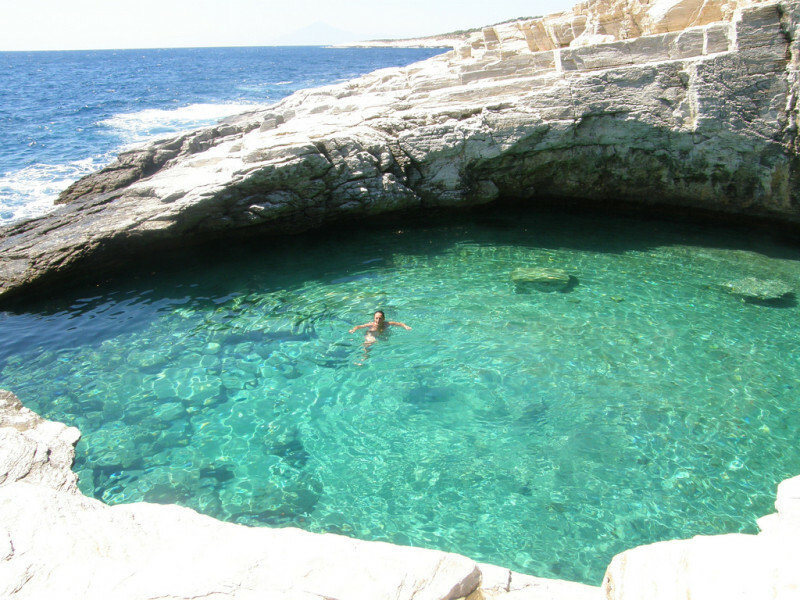 To see the heart of Athens, walk around the Plaka and Monasteraki neighborhoods. 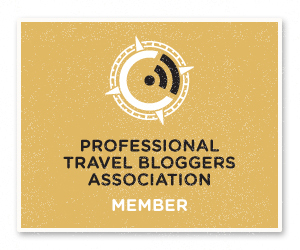 Yes, they are very touristy, but they also have a lively and friendly vibe. Plaka is a pedestrian-friendly warren of ancient streets nestled at the base of the Acropolis. Climb the hill to see Areopagus, also known as Mars Hill. Be careful of the “slippery rocks,” due to centuries of high volume foot traffic in the area. The kids actually liked sliding down them. Read Apostle Paul’s famous speech spoken on that very spot from Acts 17:22-31, as your kids can see the Bible come to life. Afterwards stroll up to the Acropolis, where fans of Percy Jackson will love to see where Percy, Annabeth and the rest of the demi-god gang spent their time in Athens. After your family has explored the Acropolis of Athens, head back to shop in Monasteraki with more antique, arts, crafts and clothing shops than Plaka. It’s also home to a large Flea Market every Sunday morning. 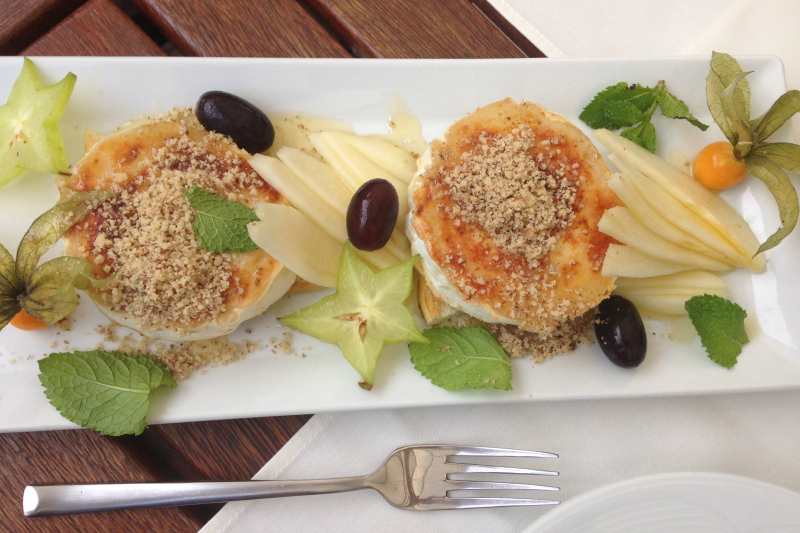 Now that you have worked up an appetite, walk back to Kolonaki neighborhood to Omorfo. This family-owned restaurant is filled with mostly locals savoring traditional Greek favorites like veal with zucchini in egg and lemon sauce, pastitsio and stuffed tomatoes. Your family may also want to try Philos Athens and Zoe’s Premium Latteria in the same neighborhood. What better way to end the days of shopping and exploration that enjoying some ice cream?! 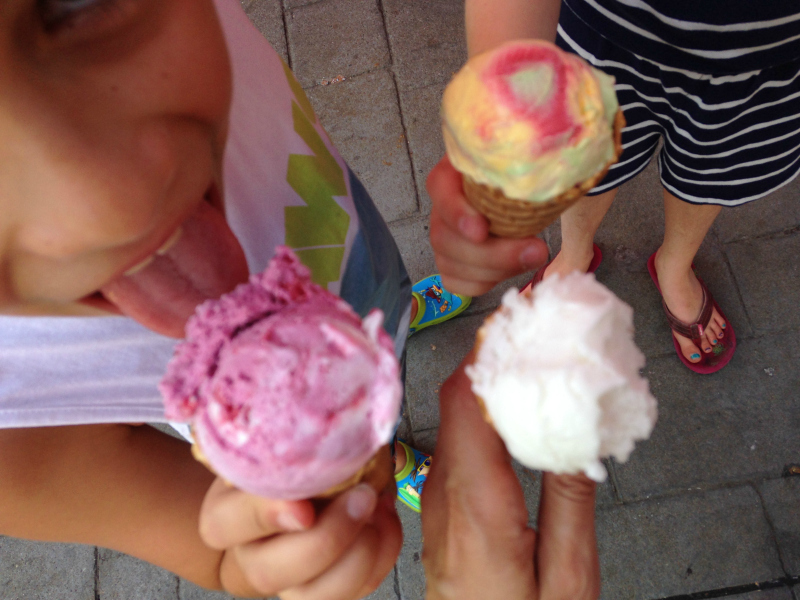 Conveniently at the the Monasteraki Square, The Ice Cream Shop easily serves the tastiest ice cream in town. They also serve milkshakes, which are hard to find in Athens, and the parents’ favorite frothy, freddo espresso-cappuccino.